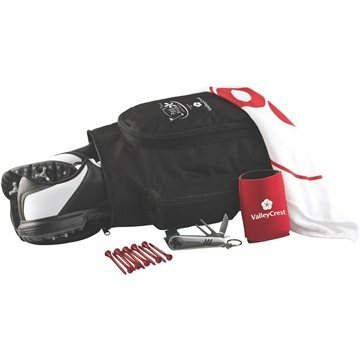 600D PVC zippered shoe bag with 2 additional storage compartments. 7-in-1 All Purpose Golf Tool. Happy with the quality. I like that you keep our old artwork so the reordering process is fairly easy. We have received great feedback from our customers on this product. It was better than I expected! And loved them. the customer service rep knew exactly what we was talking about. this is a great product for a business to give your customers!